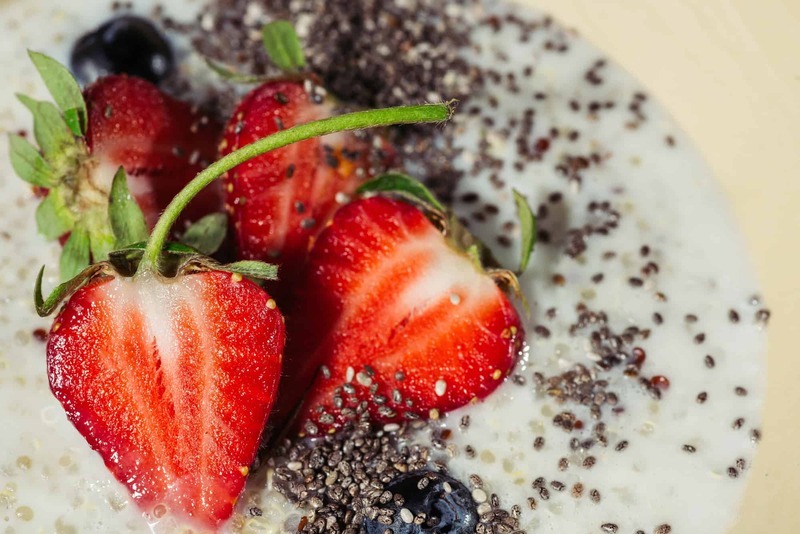 You’ve heard of the keto diet, and now you want to try it for yourself. Before you start giving up carbs and filling your belly with fats, you should ensure that you are following the diet correctly. Here is the complete ketogenic diet for beginners. Use these tips to jump-start your keto diet and begin burning fat for energy. 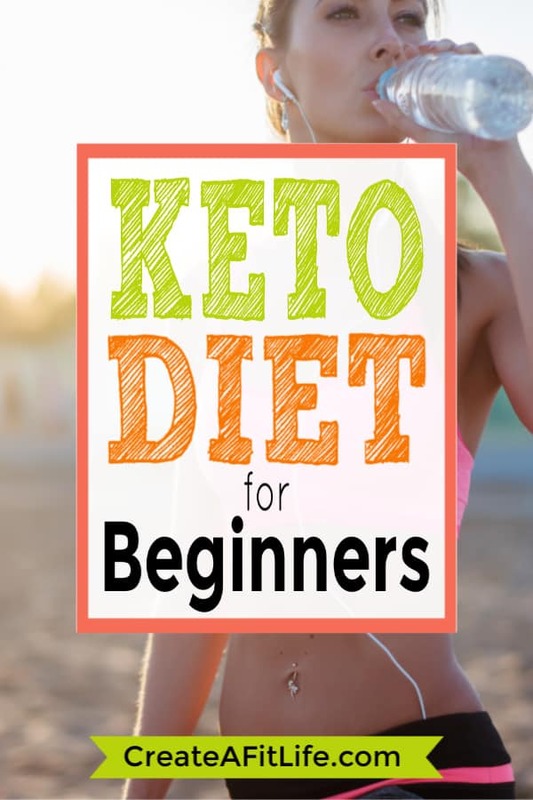 If you want the keto diet explained in the simplest terms, it is a low-carb, high-fat diet. The keto diet was originally developed to treat children who suffered from epileptic seizures. It eventually gained popularity as part of the low-carb movement. With the ketogenic diet, you restrict carbs and fill your body with healthy fats and a moderate amount of protein. The goal is to reach a state called ketosis, which is a natural bodily process. When you reach ketosis, your body changes the way that it burns nutrients for energy. With a typical diet, your body relies on sugar for fuel. When you eat a high-carb meal, your body breaks the substances down into glucose and produces insulin. The extra glucose is stored as body fat. If you cut back on the carbs, your body needs to start searching for a different energy source. It begins to burn fat. That is the purpose of the low-carb, high-fat diet. By eating meals that revolve around healthy fats and protein, your body receives a more efficient energy source. Each gram of fat provides nine calories while a gram of carbohydrates provides just four calories. People often feel more energized when they reach ketosis. You may also burn more body fat, slim down, and find it easier to build lean muscle. There are several key components to the keto diet. You need to know which foods to eat, which foods to avoid, and how much of each nutrient you can eat each day. The keto diet food list includes a wide variety of tasty ingredients. While this is a high-fat diet, you also get quite a bit of protein and a limited amount of carbs. You also do not need to worry about the calorie totals. Instead of counting calories, you need to count carbs, fat, and protein. However, before learning which foods you should eat, it is easier to learn which foods to avoid. While on the keto diet, you should avoid processed foods. This includes frozen meals, baked goods, snacks, chips, fast food, and soda pop. You should also avoid foods that contain a lot of carbs. The best foods are items that contain fewer than three grams of carbs per serving, as carbs can quickly add up. The foods that you should eat include produce, meat, dairy, herbs, spices, and various oils. In the produce section, look for dark, green vegetables. Asparagus, avocados, eggplant, zucchini, and various greens are all great options. They contain essential nutrients and limited carbs. Other suitable options include lettuce, tomatoes, celery, and cabbage. Your keto diet may not include a lot of fruit. While the sugar contained in fruit is natural and healthy in low doses, it may keep you from reaching ketosis. Fruit is mostly used as an ingredient in other meals. Most keto-friendly recipes are meat-based dishes. There is no shortage of keto chicken recipes. However, there are other meats that you can enjoy. You can eat beef, lamb, veal, pork, bacon, and sausage. Seafood is also recommended. Fatty fish tends to contain important omega-3 fatty acids. You can include more salmon, trout, and wild fish in your diet. Dairy is a great source of fat, which is an important part of the diet. You can get healthy fats from eggs, soft cheeses, heavy cream, butter, and ghee. Milk, hard cheeses, sour cream, yogurt, and cottage cheese contain healthy fats. However, they also tend to contain more carbs. While you can eat these foods, you should only have them in moderation. Nuts and legumes may be used occasionally for snacks. Keep in mind that these foods also contain carbs and should only be consumed sparingly. The next step for getting started on the keto diet is to determine your macros. Your daily macros refer to the amounts of macronutrients you should consume each day to achieve and maintain ketosis. The three macronutrients that you consume are protein, carbs, and fat. The keto diet requires you to determine the amount of each macro based on your total caloric intake. Various macronutrient ratios are used for these calculations. The typical keto dieter gets 60% to 75% of their calories from fat, 15% to 30% from protein, and 5% to 10% from carbs. To calculate your macros, determine how many calories you should consume each day. The average man needs to eat 2,500 calories per day to maintain weight and the average woman needs to eat 2,000 calories. However, your height, weight, age, body fat percentage, activity level, and personal fitness goals all influence the total calories that you should eat. After determining the number of calories that you need to eat, you can subtract 500 calories to lose 1 pound per week or add 500 calories if you plan to bulk up. You can then divide the calories using the keto diet ratio that you prefer. When you first start the diet, you may want to begin with just 5% of your calories from carbs, to ensure that you reach ketosis. You can divide the calories between the three macronutrients based on the ratio. You then divide the calories that come from carbs or protein by four, as each gram of carbs or protein provides four calories. The total fat calories divided nine equals the number of grams of fat that you need to eat each day. Calculating these macros can be difficult. If you need help with these calculations, you can use an online keto diet calculator. You can input your information and allow the calculator to tell you how many carbs, fats, and protein you need to eat each day. After determining your macros, you can start planning your keto diet. The typical ketogenic diet menu consists of three meals per day and two snacks. Most of your macronutrients should be consumed during your three main meals. The snacks can be used to hold you over between meals and help you reach your nutrient requirements for the day. The easiest way to plan meals is to start with breakfast and dinner. You also do not need to choose a different meal for each night of the week. If you have a favorite omelet recipe, there is nothing to stop you from eating it every morning. Make a list of keto-friendly breakfasts and dinners. If you do not know where to start, search for keto breakfast and dinner recipes. Your goal should be to find a few different options for each meal. Decide on your breakfasts and dinners for the entire week, and then start planning your lunches. With the dinners selected, you may consider choosing several lunches that can incorporate the base ingredient from your dinners. For example, if you eat BBQ chicken one night for dinner, you can shred the leftover chicken and use it for a chicken wrap. You can cut chicken thighs into cubes and use it for a chicken salad. You may also choose separate lunches with their own ingredients. However, incorporating ingredients from other meals saves time and money. The first month of the keto diet is often the hardest. Following this diet may require you to make major changes to your typical diet. Most people fill up on carbs throughout the day. When you suddenly give up these foods, you may start to experience cravings. It is normal to suddenly crave sugar, chocolate, and snacks when you cannot have them. However, if you can stick with it for 30 days, you are less likely to give up on the diet. The first month is a crucial time. Your body starts to adjust to the diet and the ketosis. If you start to experience food cravings, try to combat them with healthy snacks. Nuts, seeds, cooked bacon, soft cheese, and other low-carb options may help you avoid the temptation from sugar-filled snacks. When trying to stick to the diet, the sugar cravings may eventually be too much to handle. If you slip up and indulge in a tasty treat, do not give up on the diet. Eating one snack will not take you out of ketosis if you ensure that you get back on track the next day. To help you get started with your diet, here are three essential recipes that you can use frequently when you need a quick, low-carb meal. Eggs are an important part of the keto diet. They are a great source of protein and fat. They are also incredibly inexpensive and easy to cook. With this western omelet recipe, you can use eggs for every breakfast. The first time you use this recipe, follow it as described. Afterward, you can use the same basic omelet recipe with different ingredients. For example, instead of ham and bell peppers, you can add bacon, sausage, or any other ingredient. This butter-fried chicken breast recipe is easy to follow and the perfect way to prepare large batches of chicken. Even if you are cooking for one, you can cook extra pieces of chicken that you can use in other meals throughout the week. You can also pair it with other side dishes or use different seasoning to alter the flavor, making it a versatile recipe. Cauliflower is often used as an alternative to flour to make the crust for keto-friendly pizza. While it does not taste exactly like the real thing, it does a good job of recreating the texture. The recipe is intended for making the crust for pizza. However, you may also use the crust for other meals. For example, you can top it with shredded pork, chicken salad, or egg salad and fold it in half to have a sandwich. Most people reach ketosis about two to four days after starting the ketogenic diet. It does not take long for your body to notice that lack of glucose in your diet. Within two to four days, your body will need to start burning fat for energy. The amount of time that it takes to reach ketosis depends on a variety of factors, including your glucose levels and the number of carbs that you regularly eat. If you have a lot of stored glucose, it may take longer to reach ketosis. It may also take longer if you choose a higher ratio of carbohydrates for your daily macros. As mentioned, you may want to limit your carbohydrates to just 5% of your total daily calories when you first start this diet. The entire keto diet revolves around a natural state called ketosis. When you reach ketosis, your body produces ketones that help break down fat for energy. To achieve ketosis, you need to restrict your consumption of carbs. The keto diet is not for everyone. Some people simply cannot give up the carbs. Keep in mind that the sugar cravings that you experience after starting this diet may start to fade away in the coming weeks. If you start to miss carbohydrates, hold off on giving up on the diet for at least 30 days. Your body should adapt to the diet. In fact, most people find that they stay fuller longer and experience fewer hunger pangs during the day when they follow the keto diet. It is important to properly calculate your daily macronutrient requirements to achieve ketosis. Remember to use an online keto calculator if you need help figuring out how many grams of carbs, fat, and protein you should eat each day. In the end, the keto diet requires a commitment that may be a little bit of a struggle for some people. If you stick with it, you may find that the keto diet is a sustainable solution for better health.